Abstract: This paper will examine how the prominent image of the witch in Christian thought during the early modern period emerged from earlier images of the non-Christian Other, Jews and heretics for example. To do so the beliefs surrounding the ‘rituals’ and ‘practices’ of witches seen during the witch-craze of the fifteenth century are compared and contrasted with the images of Others within medieval Christian society. To do so a variety of both primary and secondary scholarship on the persecution of witches, heretics, and Jews during the Middle Ages and the early modern period. Introduction: The witch trials and persecution of witches in Europe occurred throughout the later Middle Ages as well as the early modern period, reaching its height between the fifteenth to the seventeenth century. Around 110,000 men and women were tried as witches across European nations and American colonies between 1450 and 1750 and about 60,000 were executed. The ‘witch craze’ of the early modern period has been examined by social anthropologists and historians, as a result there is a multiplicity of theories why the witch emerged within medieval European society as a Saidian Other. It is vital to recognize that the image of the witch, as seen during the ‘witch craze,’ did not come into existence in 1450 at the onset of mass witch trials. 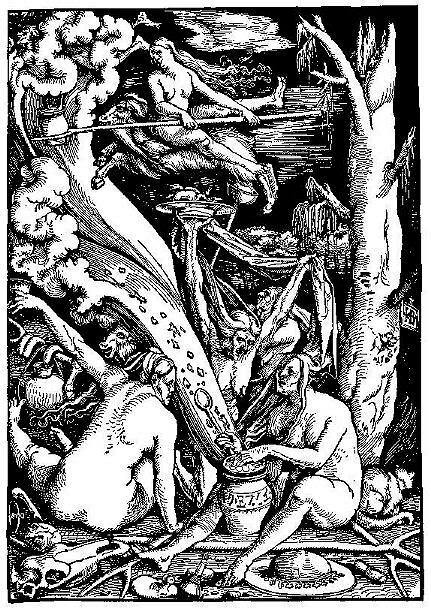 The beliefs during this period that were important to the Christian imagining of witches were a pact with the Devil, the night-ride, and the nocturnal meetings, which later transformed into the idea of the ‘witches‘ Sabbath.‘ The events which supposedly took place during these nocturnal meetings became equally important: host desecration, diabolical orgies, infanticide and cannibalism. These beliefs were derived from pre-existing myths and stereotypes associated with religious groups outside of Christianity such as Jews and heretics.